Global Smart Classroom Market valued approximately USD 50.9 billion in 2017 is anticipated to grow with a healthy growth rate of more than 10.1 % over the forecast period 2018-2025. The major driving factor of smart classroom are growing demand across end-user industries, increasing application of smart devices and increasing thrust on developing novel methods. The major restraining factors of smart classroom market is lack of awareness among the end-users. The global education technology and smart classroom market is majorly driven by increasing number of mobile learning applications and growing inclination towards digital learning, which in turn is fueling growth of the education technology and smart classroom market across the globe. Smart Classrooms are technology enhanced classrooms that foster opportunities for teaching and learning by integrating learning technology, such as computers, specialized software, audience response technology, assistive listening devices, networking, and audio/visual capabilities. The major opportunity in the smart classroom increasing internet penetration across developing regions. There are various benefits of smart classroom to the teachers as well as the students such as digital tools help students to understand the topic better, the use of digital tools of instruction bring in an interactive environment to learning, smart classes are a perfect solution to the environmental hazards that are posed by the conventional methodology of education, smart classes employ electronic tools which are easy to use and maintain and fillip to academic performance. 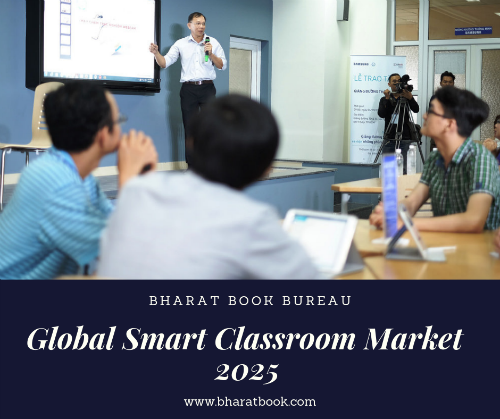 The regional analysis of Global Smart Classroom Market is considered for the key regions such as Asia Pacific, North America, Europe, Latin America and Rest of the World. North America is the dominant region in the global smart classroom market. Lack of awareness in educational sector especially in developing regions such as Asia-pacific, Latin America and Africa regarding advantages of education technology and smart classroom is hindering the growth of education technology and smart classroom market across the globe.